We've all been there before. 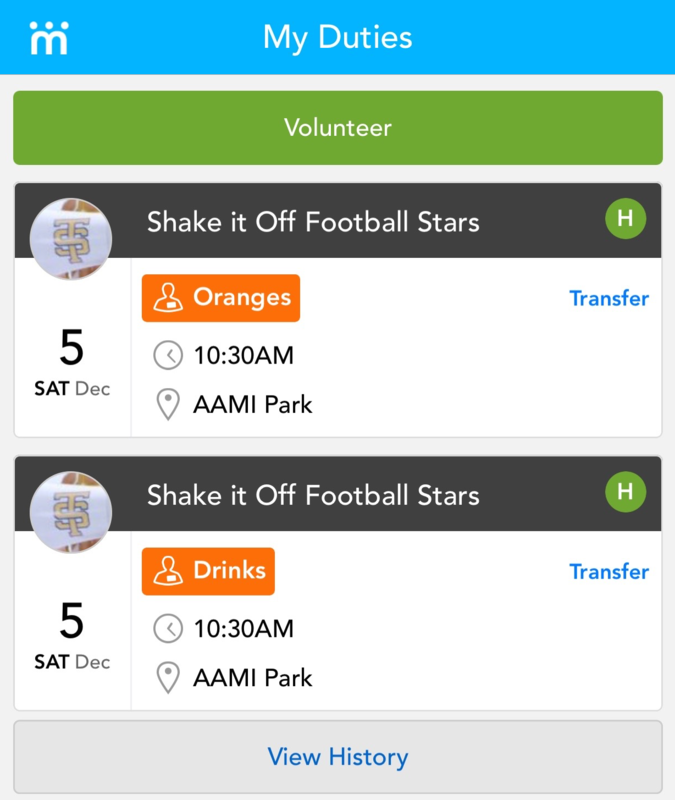 You're assigned the Umpiring duty for the weekend's game ; then you find out you'll be interstate. That makes umpiring really hard - so you're going to need to get someone else to do the duty for you. We're going to leave that part to you - finding the person, but once they've agreed, here's all you need to do to get it into the place of all sporting truth - teamstuff - and all without involving your team manager. 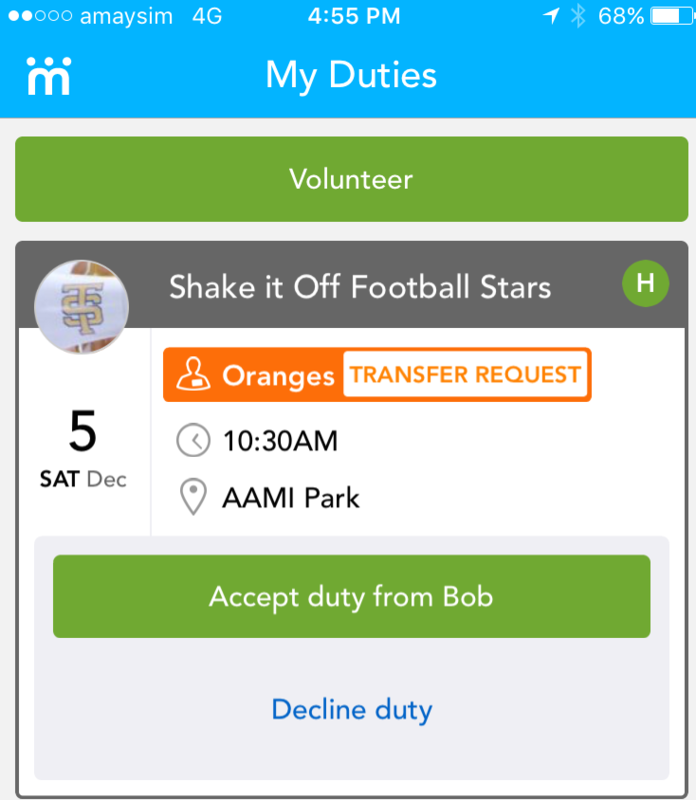 Find the duty in your 'My Duties' section. This is a special area of teamstuff that shows all your duties from all your teams. 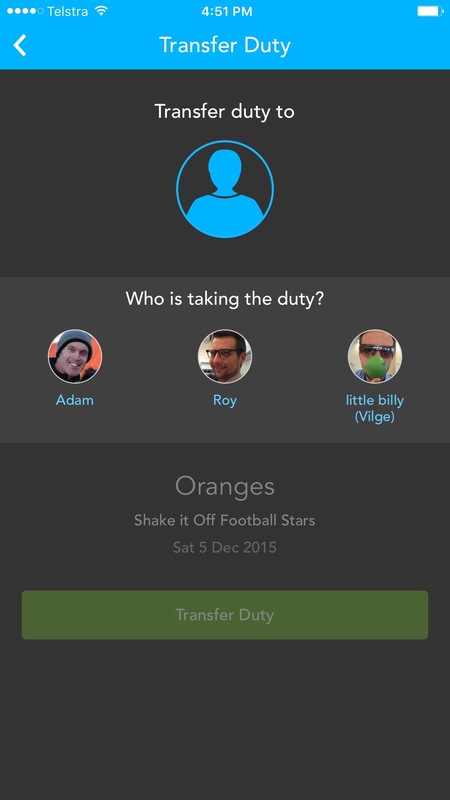 Hit the blue transfer text on the right hand side, and you'll then be presented with a team list. These are the people you can transfer this duty to. We highly suggest that you agree the transfer with them prior to doing it in teamstuff. But each to their own! 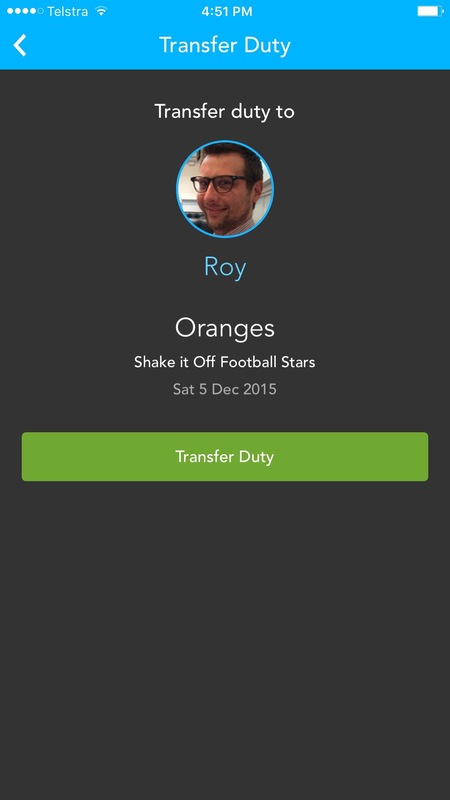 In this example, Roy has very kindly agreed to take the Oranges duty from me, so I'll choose Roy. And hit the green button to send a request out. And yes, that's right - it's a request. Roy will get notified or emailed, but the recipient doesn't take the duty until after they accept it. ( oh - and note they have 3 days to accept it - after that we deem that it's not accepted, and we'll remove the request ). The final step - the recipient of your request accepts the duty from you ( or declines! ). It's super simple for them too - look inside their own 'My Duties' section - and it's very clear the choice they have. And once it's accepted - it gets stored inside the teamstuff system as if it was always assigned that way. All games and notifications get automatically switched to the new person. It's all good - you've transferred the duty - and all without annoying your hard working team manager.